Create, share and discover unlimited adventures with Spoorky! Prepare your sword to lead world tournaments and obtain rewards by defeating level creators. Join the global community and compete to be the best player or the best creator! Rule the Spoorky community as player, as creators or both. Up to you! ✎ Create your own adventure with the level editor! You have unlimited possibilities: decorate your level as you wish, create hidden tunnels by digging blocks, use your wit to design small puzzles... Let your imagination run wild! ☁ Publish your levels on the Internet for the community. Users will play and rate your levels. 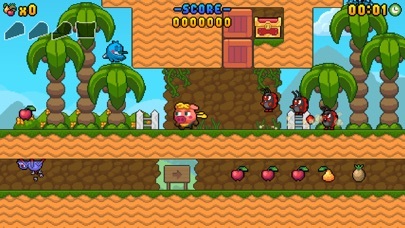 Obtain new followers and fight to avoid other users stealing you the first place in your own levels! If you lose the lead, don’t worry because you can also increase your gamer score by recovering the first place —as your rivals can if they defeat you as creator! ♛ Compete in other players' creations and global tournaments. 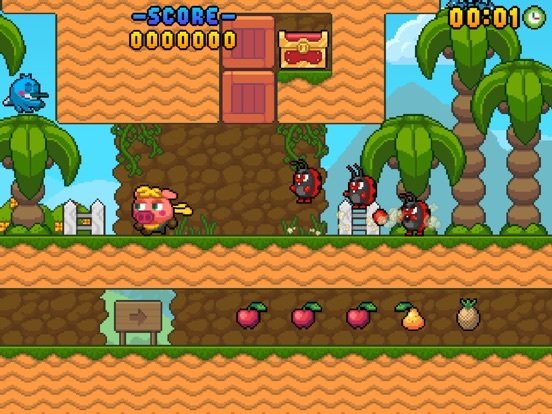 In addition to defending your leaderboard position in your own works and completing levels of other users, you must defeat other creators in their levels to increase your game score and lead the community as a player. Every week the best levels are chosen to fight in a world tournament during three arduous days in search of juicy Platinum Hooves that will give you an important score! Unlimited adventures. Put yourself in the hooves of Spoorky and travel, along with your sword, endless worlds created by the community of game users. 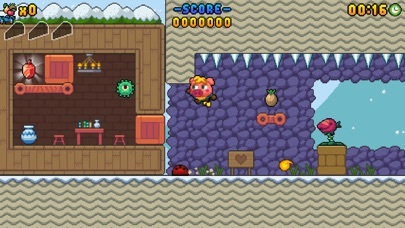 Level editor. 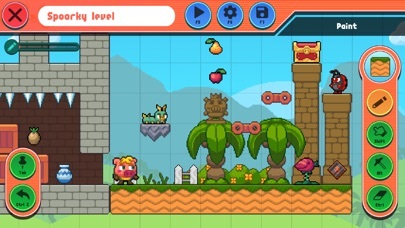 Create your own levels with a variety of traps, constructions, scenery... Publish your creations so that the community can compete against you! Weekly tournaments. 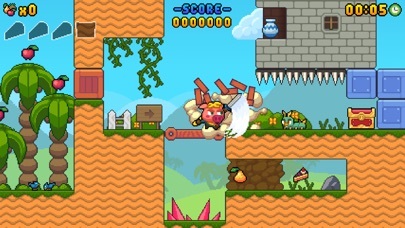 Each week the best levels compete around the world. Will your levels be there? Training mode. Get inspired and unlock new content by completing a set of pre-installed levels. This mode will add a new set every new world. Power-up badges. 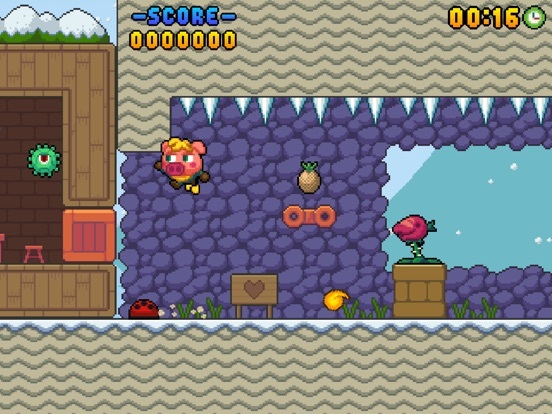 Use badges to give temporary power-ups to Spoorky; immortality, super-speed, double points... A push in the competition! Free content updates. All content extensions and new worlds are free. Leaderboards and Spoorky Hooves. Gain game score by winning hooves: defeat creators, complete others players' levels, achieve a high place in tournaments... Being the world leader will not be an easy task. 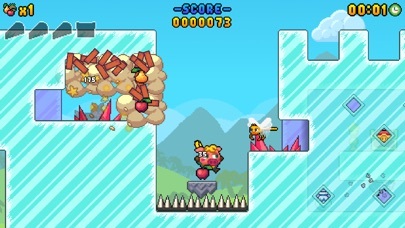 Leaderboards are shared between platforms (cross-platform). Requires Internet connection. 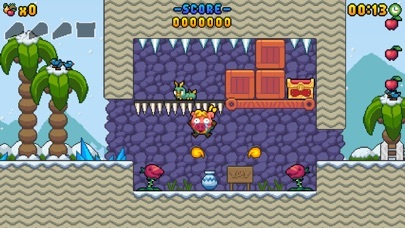 Spoorky is an online game, it doesn't include a local mode beyond level building. 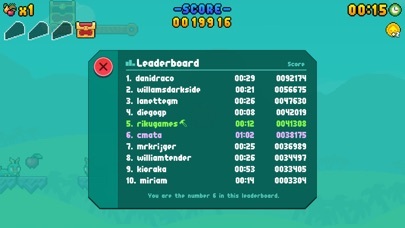 Thanks to Spoorky accounts, the game shares leaderboards, levels and users with all available platforms. In addition, you can continue your game whenever and wherever you want; play on your PC with Spoorky in Steam at home and continue your game on your Smartphone while you're waiting for the bus! For this reason, in order to play, your device must be connected to the Internet. 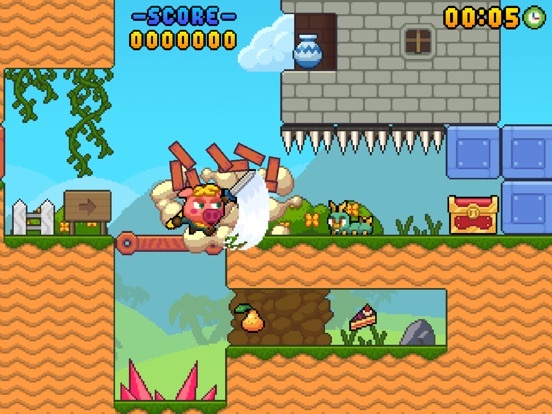 A platform game featuring colorful Pixel Art with joyful music! Compete with players around the world. 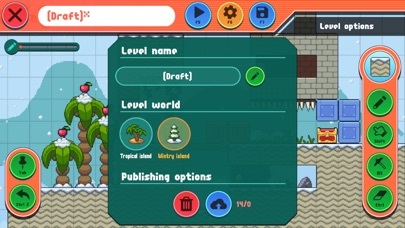 This game has expanded potential thanks to its Level Editor. The mobile version is a bit awkward to control. So the steam version of this game is a little better. But since they are proven developers, these things are likely to improve in the future. 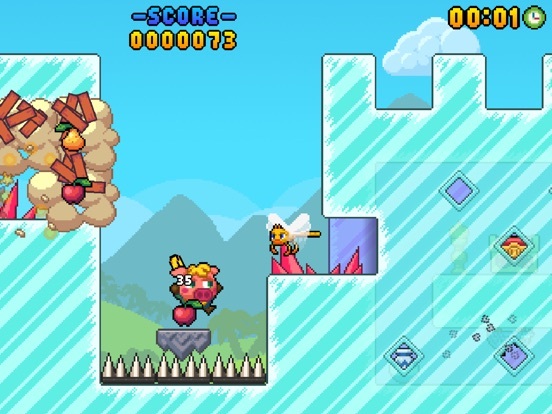 This game supports cross-platform, so you can play anytime on your favorite devices.